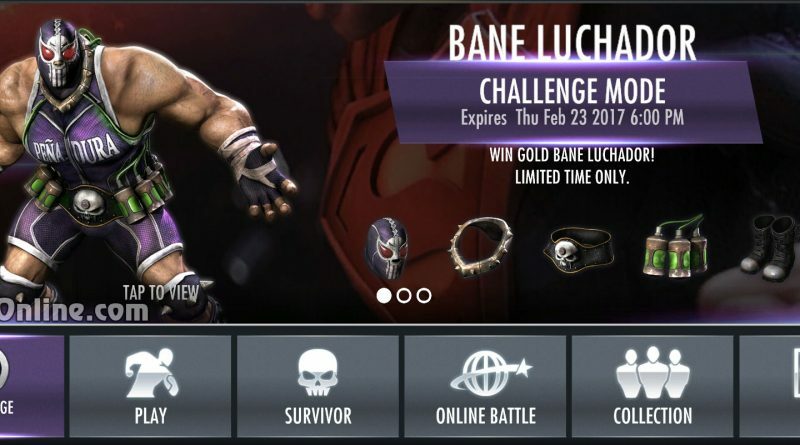 The next Single Player Injustice Mobile challenge is here. 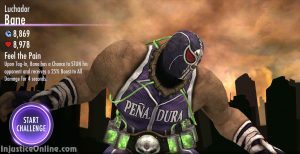 This time you will have the chance to obtain Luchador Bane gold card. 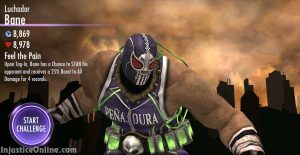 Luchador Bane is one of the DLC costumes for Bane in the console version of Injustice: Gods Among Us. 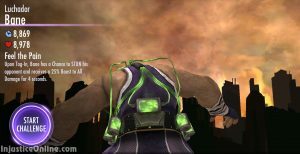 Description: Upon Tag-In, Bane has a Chance to STUN his opponent and receives a 25% Boost to All Damage for 4 seconds. To beat this challenge you must have Wonder Woman, Nightwing and Flash on your team. There are Bronze/Silver versions of all of them so this requirement should not be a problem even for newer Injustice Mobile players.